The Tank on the right is in this ad. We have the tank on the left in another ad. 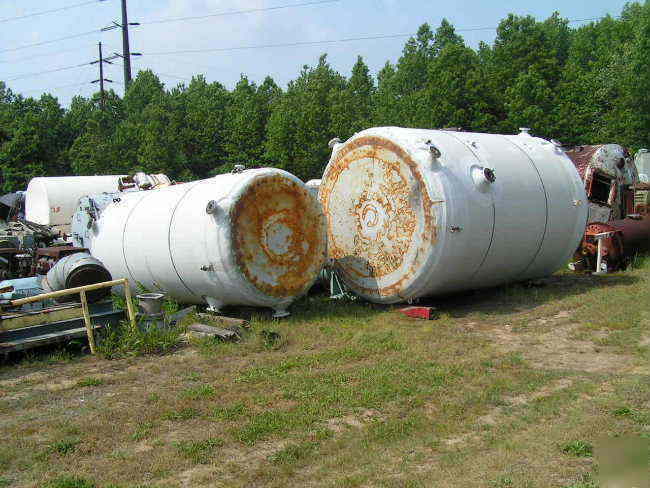 This tank has a diameter of 78" and is 11' tall (straight side). Multiple inlets and outlets; and looks to be insulated. Flat bottomed, dish top with boltdown Manway on top.